When it’s said that Fairgate Farm is “volunteer powered”, we mean that our volunteers are essential to the Farm and are integral to its mission. Each year over 1,200 volunteer hours are logged by individuals, corporations, schools and community groups. Farm volunteers engage in all types of important activities. As the season begins, we are coaxing planting beds back to life with no-till soil management practices, spreading beneficial compost, and gently planting seedlings grown in our greenhouse. 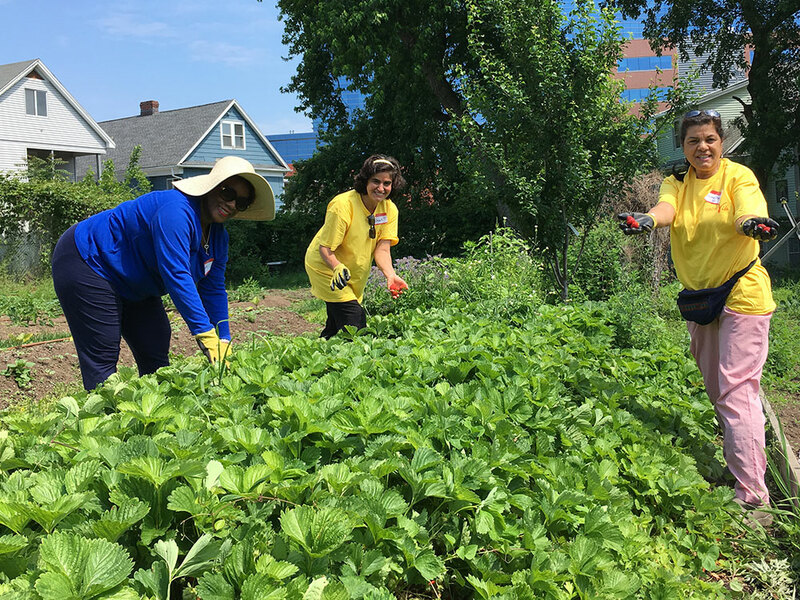 As the season progresses, we are planting, nurturing and harvesting produce that is shared with our volunteers and community hunger-relief organizations. Our volunteers also help us to host harvest-related festivals, a variety of community classes and even work in our Farmers Market. There are countless ways that you can make a difference! The dedication and generosity of our volunteers allows the Farm to exist, which in turn makes it possible to educate and feed our community. We look forward to having you join us!